I am looking to ad this species to my Catch Count. From my research It seems that this little guy doesn't get much past 3 feet around here. Which is fine I will just target it on a lighter rig. This is what I have gathered so far. 1) they like piers for cover or they are after the smaller bait fish that hang out there. 2) they like squid the best but will hit just about any free meal you throw at them. 4) alot of people throw them back but they are not bad on the grill. Let me here your input and a place I can go set up in the sand for one of these Smoothhounds! What is your nearest beach? Think about all the areas you e hit an pick the one with the sand bottoms. That's where they'll be. Bottom rig it up and bait and wait. Good luck! GOT ONE! .. Didn't know they weren't a very large shark.. but at least it was added to my Catch List! .. I wonder if it is true that the largest ever recorded was 3' 1" .. cuz mine was pretty close. Caught him off the bottom with a whole squid. I was in panic mode by end of day. Wasn't really targeting him but I was in Shark Mode so I will take it! I catch those guys "12 inches" over at the guard tower 28 in Bolsa Chica. I throw 'em back. Curious as to how they tasted if you tried them on the grill. Bolsa Chica near the kiosk entrance (one parking lot south) has always been a good place to find the hounds. I've caught them on crabs but I'm sure they would love a sliced perch, bonito, mackerel, squid or mussel. I know there a quite a few near dog beach, just a bit South. Im new to surf fishing but I cant get enough. every weekend and chance I get after work. 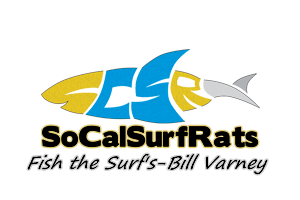 I caught three of those guys yesterday 10-18-15 on squid off ventura state beaches in an hour. I'm mainly into bait fishing and id really like to know what kinds of rigs people are using especially with the rough surf its always seems like im wondering if im fishing or or if my bait is wrapped around my sinker.